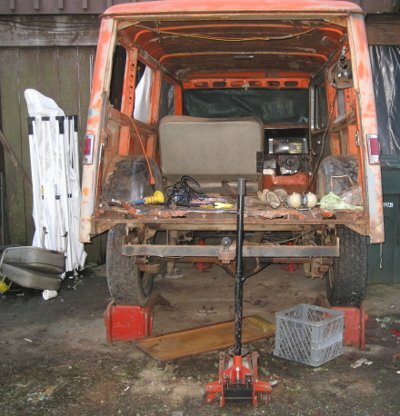 Rear doors, bumper, exhaust system and gas tank removed. 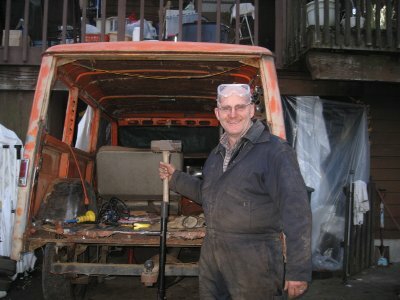 What else can I whack? 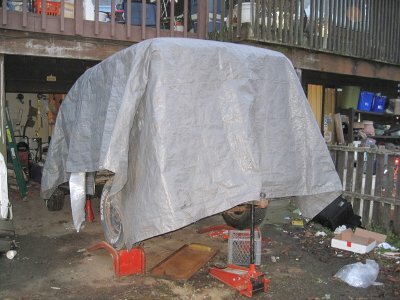 I don't have a workshop really, so it is tarp it up each night when done for the Washington State rain.